Free Trial! For Mac and Windows! How To Download Videos from YouTube, DailyMotion, TED, the Onion, and more! TubeSock downloads videos from YouTube and other web sites and saves them. 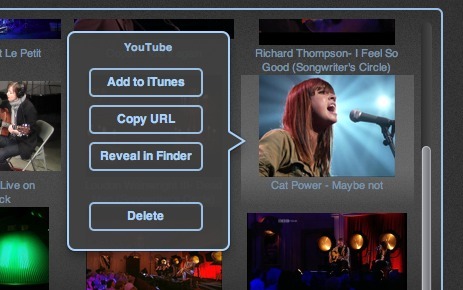 Just click to download, convert and copy into iTunes for use with your iPhone, iPod or AppleTV. 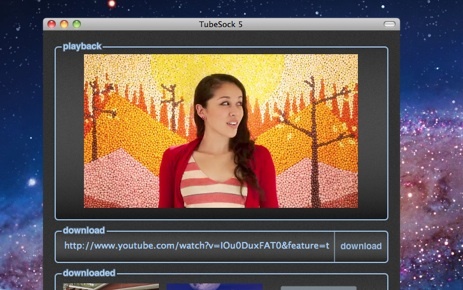 TubeSock knows how to convert the video using the codec best for your device. Try before you buy! Until you register, TubeSock will save only the first 30 seconds of a video. If you like TubeSock, click the Buy Now button and we'll email you a registration code that removes the 30 second restriction. TubeSock can save videos from YouTube, DailyMotion, TED, the Onion, Break, CollegeHumor, and a number of adult-only websites. 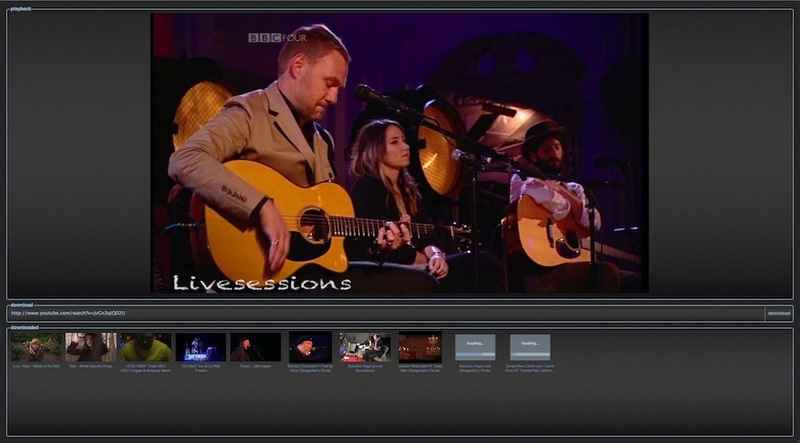 TubeSock can find and download the highest quality format available — even up to 1080p High Definition video. TubeSock keeps a library of previously downloaded videos, so you'll always have access to the clips you love. Can't find the file? "Show in Finder" is your friend. TubeSock 5.0 remembers the URL each video came from, making it easy to share your favorites with friends. TubeSock 5.0 works with Mac OS X Lion's full screen mode. TubeSock 5.0 also runs on Mac OS X 10.6 and 10.5. TubeSock for Windows supports Windows XP, Vista and Windows 7. TubeSock includes a bookmarklet for your favorite web browser that opens the current page in TubeSock, for simple one-click use.